Introducing the Emerald Coast Boat Club! Boat clubs are a very fast-growing segment in today’s sharing economy. For many, the option to access a versatile fleet of premium boats without traditional ownership costs is vastly appealing. 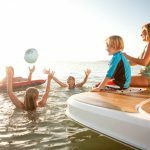 The Emerald Coast Boat Club offers an array of premium boat brands and models for those who desire all the fun of boating, without any of the maintenance or ownership requirements. Free boating education – safety instruction and class included with every membership! Flexible Emerald Coast Boat Club Membership Options! 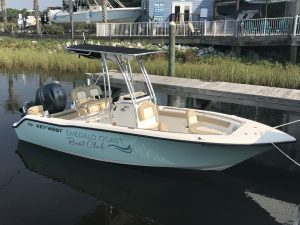 The Emerald Coast Boat Club is ideally suited for those who want to enjoy the boating lifestyle without traditional ownership or maintenance responsibilities. Members enjoy access to a variety of premium boats in the fleet and are invited to participate in organized club events and activities. Emerald Coast Boat Club is pleased to offer two levels of membership options. Our PLATINUM MEMBERSHIP PROGRAM offers the all-inclusive, premium package, featuring UNLIMITED OUTINGS seven days a week along with all the fantastic benefits associated with an Emerald Coast Yacht Club Membership, a $199 per month value! The GOLD MEMBERSHIP PROGRAM offers UNLIMITED OUTINGS Monday through Thursday. This value-based option is a great choice for retirees or those who simply want to boat during the week. Each membership option requires a standard 1x initiation fee and standard monthly dues. The only additional cost is fuel, based upon individual consumption per outing, and any concierge service requested by the member, i.e. rental gear, ice, beverages, etc. SEE WHAT OTHER MEMBERS ARE SAYING ABOUT OUR CLUB! 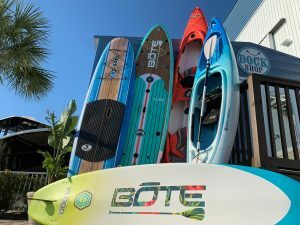 Check Out the Exciting Emerald Coast Boat Club Fleet! 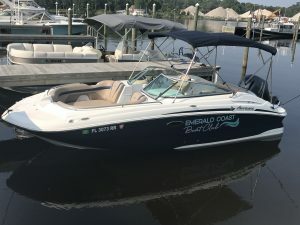 The Emerald Coast Boat Club fleet offers members a fantastic opportunity to experience a variety of boating activities and adventures while accessing top boat brands, makes and models preferred and in demand by boaters throughout Northwest Florida! The fleet features a well-maintained mix of popular powerboats from 20’ to 25’, each that are two years old or newer. 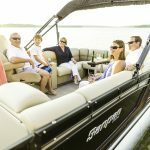 With seating for up to 13 passengers, the Sweetwater Tritoon is a favorite for families and big parties looking to cruise, entertain, sunbathe and enjoy a relaxing day on the water! 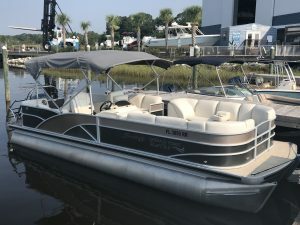 This popular center console is an angler’s delight, ideally designed for inshore and near shore fishing, as well as for family cruising. Seating capacity for up to eight. Load up friends and family for a day of fun aboard the best-selling Hurricane 2200 deckboat! This model is a champion for cruising, sunbathing and watersports, with seating for up to 10. 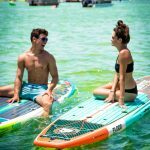 Hop aboard one of our popular BOTE paddleboards or kayaks and get next to nature! Party with the Emerald Coast Boat Club! One of the most valued aspects of membership in the Emerald Coast Boat Club is participation in our special events and seminars! We host a variety of fun and memorable events throughout the year that allows members to meet others who share the boating gene … and to thoroughly enjoy the great outdoors and our spectacular Emerald Coast boating lifestyle! Email AnnaMarie Worrell – Annamarie@emeraldcoastmarine.com – about upcoming club activities! 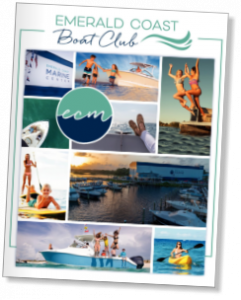 Your Complimentary Emerald Coast Boat Club Brochure! If you would like to download a flyer with these details regarding the Emerald Coast Boat Club, please CLICK HERE! Call 850.389.8318 or email for more information about our Emerald Coast Boat Club. Click on the image for a look at our Boat Club brochure.